From beer to BTB, dog shows to downtown dining, Julie Dennehy, APR, is an award-winning consultant with 25 years of “creating a buzz” in New England for consumer clients. After working in radio, advertising and at a Boston PR firm, she founded her boutique agency in 1996 to service consumer brands, retailers, hotels, restaurants, nonprofits, and festival events. She currently serves as ongoing PR rep for King Richard’s Faire, Northeast Comic Con and a host of other exciting consumer events involving “geek culture” – a thriving community in Boston. Leadership and community are two key pillars of Dennehy PR, and Julie is proud to have served as president of the PRConsultants Group, the Publicity Club of New England, and PRSA’s Boston chapter. 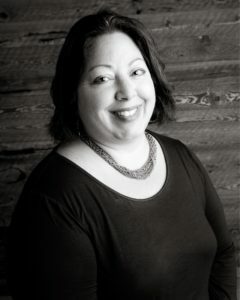 She enjoys attending networking events, judging for communications award programs and providing PR counsel to nonprofits. When she’s not pitching or tweeting for clients, Julie enjoys watching and blogging about theater and comedy, exploring the New England coastline, and spoiling her rescued Great Pyrenees dog. She loves being a football, dance, and PTO mom to two teenagers who, despite this biography, keep reminding her how uncool she is.